Back in the days when the Samsung Galaxy Ace 2 first came out, it was the ClockworkMod recovery and not the TWRP recovery that was the most popular custom recovery to install on devices. If you too prefer ClockworkMod, you can learn how to install CWM recovery on Samsung Galaxy Ace 2 with the guide after the drop. 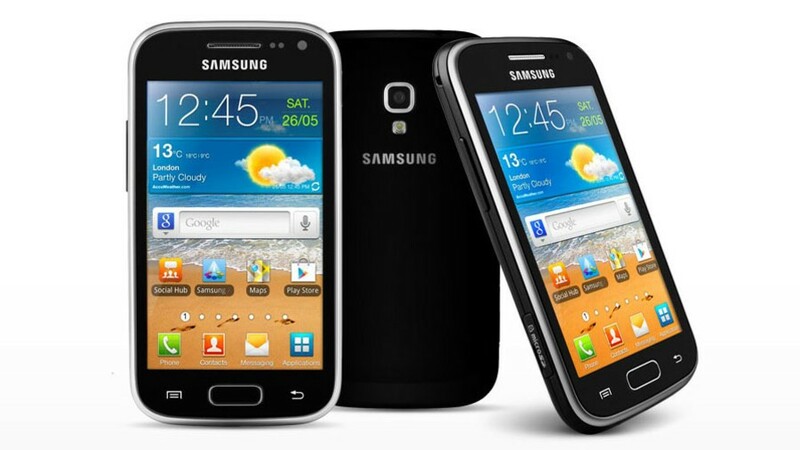 Only follow this guide if you have the Samsung Galaxy Ace 2. As you probably know, there a few different Ace smartphones. The guide here is for the second-generation only. Download the Samsung USB Drivers  for mobile phones. You can find the link by scrolling down the page. It takes you through to the official Samsung USB Driver page. Otherwise, you can install the universal driver made by Koush — the same guy who founded ClockworkMod. Check that you have the Developer Options menu available from the Settings. If you don’t see it there, it probably means you still need to unlock it because it’s hidden. Unlocking it is easy enough: head to the Settings > About Device > tap where it says build number 6 or 7 times until it tells you it’s unlocked. Now that you have unlocked the Developer Options menu, you can access it from the Settings. Head to the Apps > Settings App > Developer Options. Click on the Developer Options make check the box for the USB Debugging Mode if it isn’t already marked as on. Any warranty you still have is revoked when you install a custom recovery like CWM recovery on Samsung Galaxy Ace 2. You need to flash the stock recovery back on your device to get that working again. You can find out how to do that after the guide, where I’ve given the explanation on the topic. Download the ClockworkMod recovery file from here . You’ll see the link in the first post on the page. Download the CWM recovery to the desktop of a computer. Connect the Samsung Galaxy Ace 2 to that same computer. Copy and paste the custom recovery file over to the SD card. Unplug the Samsung Galaxy Ace 2 from the computer. Reboot he Ace 2 holding the Volume Up + Home + Power to get your device in recovery. You must start by having the device off first. Navigate to the “apply update from SD card” option. The CWM recovery will now install on your smartphone. All you need to do now is reboot the smartphone. The custom recovery is fully installed. To get a stock recovery back, you must find a stock ROM from Sam Mobile. Unzip that stock ROM on the desktop of a computer and you should see a recovery.img file in the folder. That’s your stock recovery. You can flash that stock recovery using Odin, just like you would flash an official software update manually with Odin. That will remove the custom recovery, return you back to the stock recovery and give you your warranty back.